Will Shortz is to puzzles what Oprah is to books — an endorsement by the New York Times crosswords editor is as good as gold. He's sold more than 5 million volumes of Sudoku games and has now moved on to KenKen, a numerical logic puzzle invented by a Japanese educator as a clever way to teach math to kids (the name means "cleverness squared" in Japanese). Shortz held the first U.S. KenKen tournament this weekend at the 32nd annual American Crosswords Puzzle tournament in Brooklyn, which drew more than 900 people from across the world — including KenKen's creator, Tetsuya Miyamoto, who flew in from Tokyo for the occasion. 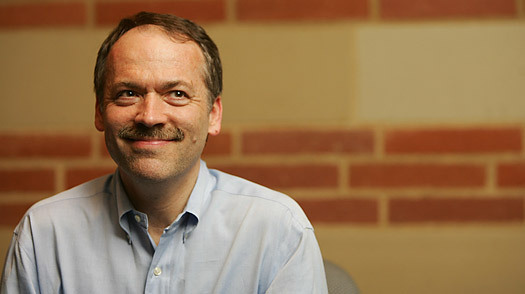 TIME spoke with Shortz about his loyal (if occasionally creepy) fan base, his addiction to KenKen, the golden age of puzzles and the Ready, Set, Solve: A Crossword Puzzle Showdown. You're something of an icon in the puzzle world, you were even the subject of the 2006 documentary Word Play. What's it like to have fans approach you for an autograph? There's something very personal about puzzle-solving. You as the solver are matching wits with me as the editor. And when you do it day after day, we develop a personal relationship. I hear from people who say, "I spend every Sunday in bed with you." [Laughs.] When I became crosswords editor at the Times, there was a guy who wrote me and said that starting with a new crosswords editor is like getting a new mistress. How did you first hear about KenKen? I live in Pleasantville, New York, up in Westchester County, and Bob Fuhrer, the president of the Nextoy company, lives in Chappaqua, right next door. He's been a toy and game agent for years, and he had acuired the rights to KenKen outside of Japan. He was looking for a way to jumpstart the puzzle and he found out I lived nearby and he called me. So I said I'd take five minutes to talk to him, and he explained the puzzle. I tried one: liked it. I tried another: liked it. I asked him to leave a book of KenKen puzzles for me, and I got hooked on it. During the next week, I solved virtually the entire book. I'm a pretty busy guy, and I don't solve many puzzle books anymore, certainly not from start to finish like this. I just loved it. This was about a year and a half ago, and the puzzle has been percolating ever since. You've posted an instructional video for KenKen on YouTube and just introduced it to the print version of the Times last month. Have you ever met the game's creator? I just met Mr. Miyamoto a few minutes ago [Laughs]. This is one of his first trips ever to the United States. One thing that surprised me, he's not really a puzzle-head like I was expecting. I have a whole shelf downstairs dedicated to Sam Loyd, one of the greatest puzzlemakers of all time, particularly of mathematical ones in the late 19th and early 20th centuries. There are literally thousands of newspaper and magazine articles with his puzzles in them. And Mr. Miyamoto had never heard of him. Does Mr. Miyamato create every single puzzle? Unlike Sudoku, KenKen involves arithmetic. What's it like to be straying from word puzzles into math? What do you think about Mr. Miyamoto's teaching philosophy, the notion that puzzles can improve people's overall thinking skills? Solving puzzles makes you a better person. You learn flexibility of thinking, and you learn to think practically. I think Mr. Miyamoto has a point: often in math class, you're taught formulas and maybe you don't fully understand the formulas, you're just going through the paces, these artificial things you've learned. But when you finish a puzzle, you really have a complete understanding of what you did. You understand the mathematics better, and you feel prouder of yourself for having figured it out from start to finish. It's funny you say that because I was just reading a KenKen review that described the game as "entertaining yet provides a slightly smug feeling that they're good for your mind, too." It's almost ironic how puzzles are taking off, while the newspapers that helped popularize these games are struggling. We're living in the golden age of puzzles now, and there are a number of reasons for that. The main thing is that puzzles have never been better than they are now. Twenty years ago, crosswords, for example, were just filled with obscurity — words that you never read or saw outside of a crossword, just stuff you don't know. Nowadays, the point of crosswords is to pack the grids with colorful, lively, juicy vocabularly that everyone knows — where the difficulty comes more from the clues, deception, humor and trickery. Puzzles really help newspapers. They help the print edition because most people agree it's more satisfying to solve a puzzle on paper than on a screen. And yes, there are some advantages to solving them on a computer, but still there's a tactile pleasure you get from filling in squares on paper. If you can get 2, 3, 4% of your circulation from a puzzle feature like that, you know, that's pretty good. It's a very broad audience now too. We had a 14-year-old compete in this year's tournament, which is fantastic. Last September, I ran a whole week of crosswords in the Times by teenagers. These are all regular contributors who happen to be teens. I thought, You know, why not? I wouldn't call crosswords "hip," but I think they appeal to a broader spectrum of people than they used to.